Although it was barely reported by the world press, another serious Iranian threat was issued against Israel during May—a fresh vow that the world’s only Jewish State will be totally erased from the Middle East map. More ominously, the vitriolic pledge came from the country’s senior military leader, Armed Forces Chief of Staff Hassan Firouzabadi. According to the state-controlled Fars news agency, he told a "defense gathering" in Tehran on May 20 that "The Iranian nation is standing for its cause, which is the full annihilation of Israel." The top military commander added that "threats and pressures cannot deter Iran from its revolutionary causes and ideals," meaning international sanctions and warnings of possible military action against the Shiite regime’s manifold nuclear sites will not alter its jihad war against Israel. He called upon the world "to wake up" to the supposed "threats and dangers posed by the Zionist regime," as if the Iranian regime’s repeated vows to destroy Israel while pursuing a rogue nuclear development program were just plot lines in some science fiction film. The Major General was said by Fars to have "reiterated the Iranian nation and Supreme Leader’s emphasis on the necessity of support for the oppressed Palestinian nation and its causes." He reminded his audience that Ayatollah Ali Khamenei said earlier this year that "defending Palestine is a full religious duty," adding "he believes that any kind of governance and rule by anyone other than the Palestinians is an instance of usurpation." The latest Iranian vow to annihilate Israel came just days before diplomats from the so-called P5+1 nations, the USA, UK, Russia, China, France, plus non-nuclear Germany, held crucial talks with their Iranian counterparts. After two days of discussions in Baghdad, European Union foreign policy chief Catherine Ashton admitted that "significant differences" were evident at the talks. Speaking more bluntly, British Foreign Secretary William Hague told reporters only "limited progress" had been made. He also warned that the defiant Shiite regime would face intensifying economic sanctions and the growing prospect of military action unless Iranian leaders took what he termed "urgent, concrete steps" to scale back their uranium enrichment program. This came after chief Iranian negotiator Said Jalili insisted once again that Iran "has every right to enrich uranium" for supposedly peaceful purposes. Days later, Iran announced it would begin constructing a second nuclear power plant in the south of the country next year. After hearing the unimpressive results of the latest talks with Iran, PM Netanyahu repeated his government’s position that the belligerent Iranian regime was merely stalling for time as it proceeded full speed with its insidious nuclear weapons program. Earlier in the month, Brad Gordon, a former US government arms control official who now works for the AIPAC pro-Israel lobby in Washington DC, told a conference in New York that Iran has enough uranium already enriched to twenty percent grade to produce several nuclear warheads in short order. He pointed out that although such uranium must be fortified to ninety percent to reach weapons grade, the spinning process to reach that level is a rapid one. Gordon’s chilling assessment was echoed by the Iran Watch American group, which posted disturbing information on its website revealing that with existing uranium stockpiles, Iran could produce a bomb equivalent to the one which destroyed much of Hiroshima Japan in 1945 in less than two months time. Another American group, the Institute for Science and International Security think tank, said Iran has enriched enough uranium to build five nuclear warheads if refined to ninety percent. The reports came just before the UN’s Atomic Energy Agency issued its latest review of Iran’s nuclear program on May 25, saying the Islamic state is pressing ahead with its uranium enrichment program. 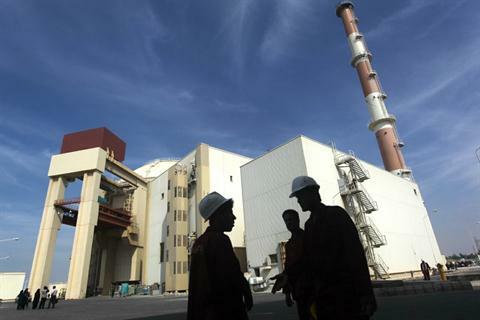 It said Iran has produced an additional 750 kilograms of enriched uranium since its last report was issued in February, with monthly production rising by around a third since then. "'For I know the plans that I have for you,' declares the LORD, 'plans for welfare and not for calamity, to give you a future and a hope'" (Jeremiah 29:10:12).